Celebrate the holiday season with these 300x300 avatars and use them wherever you wish. 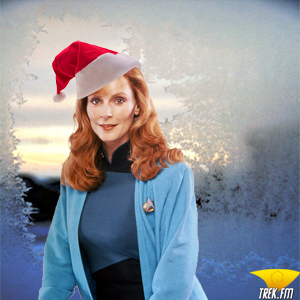 If you’re in more of a Voyager mood, try last year’s Trek.fm collection. Original TNG crew images are from TrekCore. * - Worf insists that he is NOT a merry man!